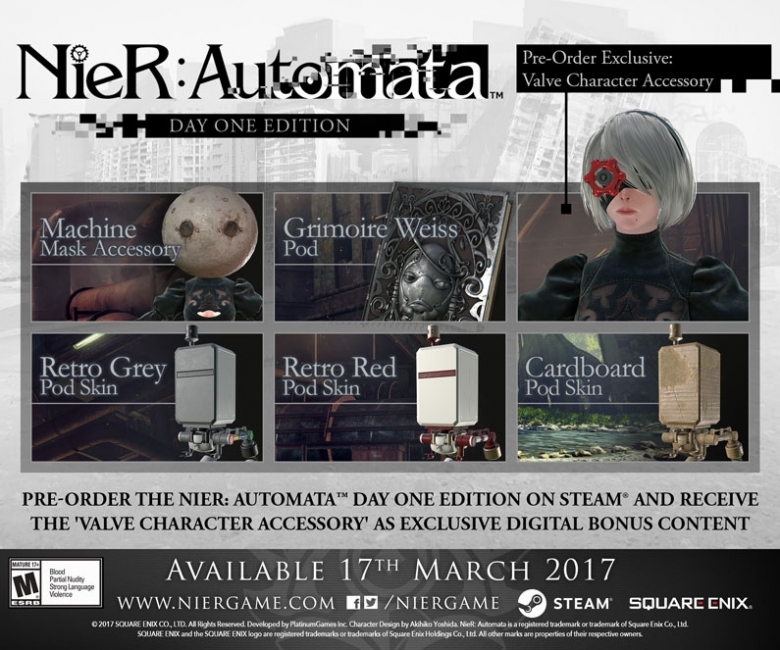 [Update] Square Enix now confirmed that Nier Automata will launch on Steam on March 17th. The publisher also confirmed the system requirements. [Original Story] Nier Automata, the action role-playing game developed by Square Enix in collaboration with Platinum Games, is soon going to release on PlayStation 4 in the West, following last month’s Japanese release, but we still don’t know when it will become available on Steam. However, it looks like the wait won’t be too long. 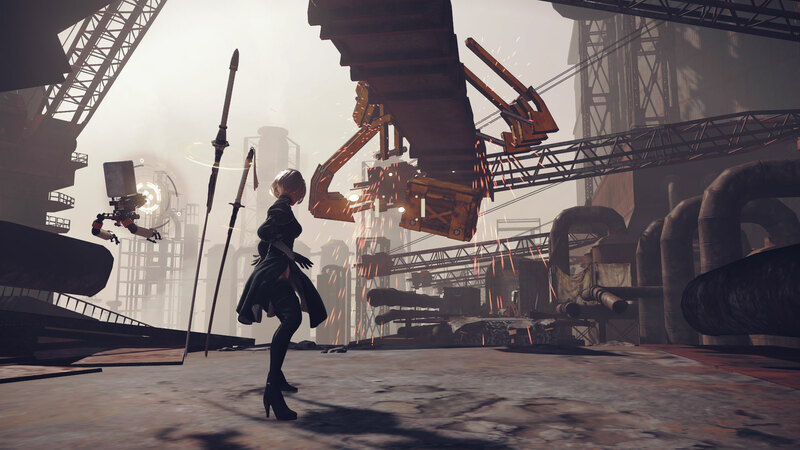 Earlier today, the Square Enix Online Store revealed that Nier Automata will launch on PC on March 17th, a week later than on PlayStation 4. The PC version will come with an exclusive Valve Character Accessory as a pre-order bonus. The Nier Automata PC page on the store can no longer be reached, so it’s possible that it went live earlier than anticipated. For this reason, we must take this release date with a grain of salt until an official announcement comes in. Nier Automata is set thousands of years after the first Nier, with humanity having been forced away from Earth due to an attack by invaders from another world. Nier Automata launches on PlayStation 4 on March 10th. We will keep you updated on the release date for the PC version as soon as more comes in on it, so stay tuned for all the latest news.